Hódmezővásárhely (Hungarian pronunciation: [ˈhoːdmɛzøːvaːʃaːrhɛj] ( listen); Serbian: Вашархељ/Vašarhelj) is a city in south-east Hungary, on the Great Hungarian Plain, at the meeting point of the Békés-Csanádi Ridge and the clay grassland surrounding the river Tisza. The city's name – which literally translates to Marketplace on the Beavers' Field – was first mentioned after the unification of two Árpád-era villages, Hód and Vásárhely – the former getting its name after Beaver's lake, an apocope term of Hód-tó (nowadays marking one of the city's districts and the canal Hód-tavi-csatorna), the latter Vásárhely coming from the medieval legal term marking the settlements with the right of hosting markets, literally meaning Market Town. The interim term mező, which also refers to the city's state as an oppidum – a city with certain rights given by its feudal ruler – was later added to the town and its name. There is evidence of human habitation close to the modern town dating back 6,000 years, and archaeological evidence suggests that the area has been continuously inhabited since then by a variety of different cultures. Neolithic dwellings recessed into the ground stored domestic items such as plates, as well as the Kökénydombi Vénusz fertility symbol. Remains have also been found from the Copper Age, Bronze Age, Iron Age and the great migrations period. The town's archaeological treasures can now be seen at the permanent archaeological exhibition of the Tornyai János Museum. At the end of the 8th century, the settling Hungarians found mostly remnants of the nomadic population and of the agrarian and animal-breeding Slavs who were escaping from the Bulgarians. Before the Mongol invasion of Hungary, at least seven villages with churches existed in the area. After the devastation caused by the Mongols, more villages were established, but these later became victims of the Turkish invasion. The territories of these villages were later absorbed by Hódmezővásárhely as the town grew. Evidence of more than twenty villages and churches from the Middle Ages have been found. The present town of Hódmezővásárhely developed in the 15th century when Hód, Vásárhely, Tarján, and Ábrány, once small villages, became joined and the market town was established. The town is known to have been called Hódvásárhely in 1437. The town's location next to the road leading from Csongrád to Csanád was advantageous for the development of trade. In the Middle Ages markets, and particularly the trade in livestock, fuelled its growth. Hódmezővásárhely was part of Csongrád comitatus. Part of that county was under Turkish control after 1542. The region between the Tisza and the Danube belonged to the Ottoman Empire, while the area to the east of the Tisza, including Hódmezővásárhely, belonged to Transylvania. After the military expedition of 1552, the whole of Csongrád county was taken by the Turks. The entire area was devastated by the Turkish offensive in 1566. The region was occupied by the Turks for the next 150 years. At the time of the Rákóczi war of independence (1703–1711), the town was under the control of Count Miklós Bercsényi. The royal court confiscated the estate and gave it to imperial general Leopold Schlick. During the war of independence, Miklós Bercsényi seized the town back and gave it to the Kuruts general Sándor Károlyi for leasehold. The royal court in Vienna did not accept Károlyi's claim to the territory after the peace of Szatmár and he was only able to retrieve it by buying it back years later. From 1722 to 1818, when landowner jurisdiction was abolished, the Károlyi family possessed the town. In the 1848–49 fights for freedom, Hódmezővásárhely played a significant part in national events. Lajos Kossuth reached the town on 3 October 1848 on his second recruiting trip. While there, he received the news that the Hungarian Army had been engaged in battle at Pákozd, and patriotic fervour gripped the town. Troops from Hódmezővásárhely took part in beating off the southern Serbian attacks. After the control of the Theiss in the 1860s, the surrounding lakes and brooks dried up. The inner areas were progressively filled and the town’s population increased. Hódmezővásárhely seceded from the county in 1873 and received the independent municipals rights. The first signs of industrialisation were apparent from that time. 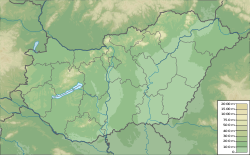 In 1890 Hódmezővásárhely was the fourth largest Hungarian town with 55,475 inhabitants. A typical system of settlement was established with a huge system of detached farms. Animal breeding still dominated the livelihood of the inhabitants. Rural animal breeding was characterised by economic efficiency. Quality horse breeding, which was partly an export product and partly demanded by the needs of agriculture, was profitable. Poultry and egg production for the markets also flourished. Animal breeding was gradually replaced by extensive growing of corn, which became the basis of the town’s economy and employed large numbers of workers. In the first decade of the Horthy era, there was a fairly good market for the town’s agricultural products. Although the war and the occupation debilitated the economy of the town, the possibilities for the sale of the high-quality corn increased. Pork breeding grew, as did the export of poultry. Dozens of medium-scale factories sprung up, but the great world economic crisis demolished this new-found prosperity. Unemployment increased, until a new economic boom in the late 1930s. At the end of the 1960s giant factories were established. Full employment was realised but the town’s industry proved inefficient. Political and economic bankruptcy, however, only emerged at the end of the 1980s. After the transition in 1990, Hódmezővásárhely became a municipal town of county rank. After the municipal elections, its government was established. Hódmezővásárhely became an outward-looking town, aspiring to the ideals of European integration and making efforts develop infrastructure and protect the environment of the town. The European Council recognised the town’s achievements with an award. The most recent mayor of Hódmezővásárhely was István Almási (Fidesz-KDNP), but he died on 20 November 2017, leaving the position vacant. The independent candidate Péter Márki-Zay won the mayoral by-election on February 25, 2018. His unexpected victory against the Fidesz candidate received international attention and was seen as a possible indicator for a change in the Hungarian parliamentary election on 8 April 2018. The swing was not replicated in the parliamentary election. The association football club, Hódmezővásárhelyi FC, is based in Hódmezővásárhely. ^ "Fidesz bastion Hódmezővásárhely falls". The Budapest Beacon. 2018-02-26. Retrieved 2018-02-28. Wikimedia Commons has media related to Hódmezővásárhely. 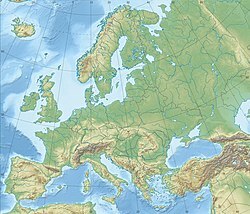 Wikivoyage has a travel guide for Hódmezővásárhely.